The members of the Justinian Society are deeply saddened by the passing of Rick Furia. 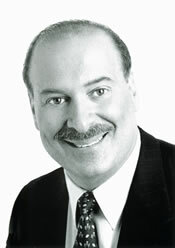 Rick served as our Chancellor from 1996-1998. He was an active and productive member of our Society for nearly 40 years. During his service, Rick brought his intelligence and energy to so many Justinian causes including his steady help in establishing and serving as an officer of our Justinian Foundation, which provides scholarships to Italian-American, Philadelphia-area law school students. Rick also served as our society's historian with such joy and pride. His leadership and dedication to our society surely will be missed and never can be replaced. What we will miss most about Rick is his friendship, compassion, sense of humor and loyalty. He made each of us feel like we were his close friend because he sincerely and intently listened to our concerns and then set out on a path to help us overcome them. Our Society and its members will always mourn the loss of our true friend. Our sincerest and prayerful reflections are with Rick and his family especially our dear friend and past Chancellor, Gina Furia Rubel, his daughter. Relatives and friends are invited to attend the viewing from 6:00 - 9:00 p.m. on Tuesday, September 20, and 9:30 - 10:30 a.m. on Wednesday, September 21, at BALDI FUNERAL HOME, 1331 S. Broad Street. A Mass of Christian Burial will follow at St. Rita Cascia Church, Broad andEllsworth Street. Interment will be at Westminster Cemetery. A Celebration of Life will follow at Franco's Osteria, 3900 City Avenue and Presidential Boulevard, Philadelphia. As an expression of sympathy, the family requests memorial contributions be sent to The Justinian Foundation (Memo: Furia Scholarship Fund) C/O Gaetan Alfano, Esq., Pietragallo Gordon Alfano Bosick & Raspanti, LLP, 1818 Market Street, Suite 3402, Philadelphia, PA 19103, the E. W. Furia Memorial Scholarship at the University of Pennsylvania Law School (a need-based scholarship for Law School students providing financial support for book purchases) C/O Jaret Herter, University of Pennsylvania School of Law, 3400 Chestnut Street, Philadelphia, PA 19104, or the Valley Forge Audubon Society, 1201 Pawlings Road, Audubon, PA 19403.